Former FIFA executive Jack Warner. 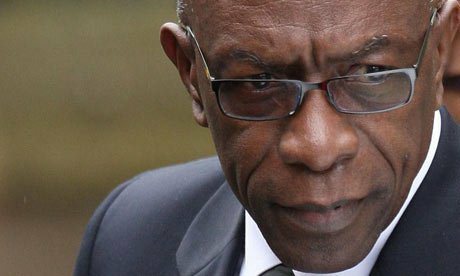 Caribbean 360 is reporting that United States officials have submitted a formal request to extradite Austin ‘Jack’ Warner, a former Fédération Internationale de Football Association (FIFA) executive who is accused of racketeering and involvement in a money laundering conspiracy. Warner, a former Vice President of FIFA and President of The Confederation of North, Central American and Caribbean Association Football (CONCACAF), was indicted on charges which authorities maintain took place over a 24-year period. Warner and other current and former FIFA executives are accused of taking $150 million in bribes during that time period. Warner, 72, who is currently running for political office as part of the Independent Liberal Party (ILP), insists that he is innocent and will fight all charges. Attorney General Garvin Nicholas announced the formal extradition at a press conference. Nicholas will be part of a team of people who will decide if there is enough evidence to move forward with the extradition.